← Discontent – Why do I have this? Even living as independent adults in their forties, people can still be haunted by their experience of being mistreated as a child. Such individuals also tend to have recurring negative moods and worry, and long-lasting problems like poor self-esteem, or low self-confidence. From my experience of over thirty years as a clinical psychologist, I can say that an unhappy childhood is usually one of the main causes. It is probably unhelpful to dwell on very bad memories and re-open deep wounds without a good therapist. However, not everybody with an unhappy childhood needs help. If you have not suffered serious abuse, it may not be necessary. There is much you can do to help yourself start to turn your life round. Partly, this will involve reflecting on how you respond to life’s challenges now. But also, it will involve reconsidering your past, through adult eyes, to gain a more mature perspective on yourself as a child and on your parents at that time. It can be surprising for adults to learn how their behaviour is so unconsciously influenced by the ‘hurt resentful child’ still in their heads. If we cling to childhood wounds, they can distort our current relationships, produce emotional blocks and lead us to make inappropriate responses. 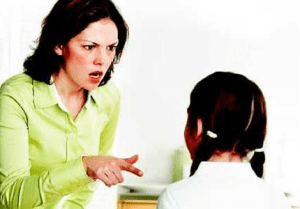 For example, one’s response to authority figures, as an adult, can be governed by the kind of thoughts and feelings one had as a ten-year old child facing a punitive parent. As an adult it may mean difficulty tolerating any form of criticism or direction at work. It is as if the supervisor were like one’s parent who was punishing or dominating. If the response to an over-critical parent has been ‘You blame me for everything’, then one is likely to be ready to feel blamed for mishaps and errors at work. If the response to an over-controlling parent has been ‘If it weren’t for you I could have …’, then one is likely to feel prevented from gaining a bonus or promotion. The adult mind can understand things in a more mature way than can a child. For life isn’t as black and white as it is to the youngster who doesn’t appreciate the effects of stress and responsibility on parents’ behaviour. The child has only a dim knowledge about the real dangers lurking in the outside world that parents seek to protect him or her from. As a child you probably will not appreciate the time constraints on busy people preventing them attending to all what you want. Your feelings may be based on an accurate perception. On the other hand whilst your parents mistreatment of you should not be dismissed as insignificant, have you missed any good qualities in them? You might see anger in your parents as dislike and intolerance of you. Could it at least in part have been due to a concern for your knowing right from wrong as they saw it. Or if you thought of a parent as stubborn or dogmatic could you now see his or her views as having conviction and strength? For some people it is relatively easy to recall a pleasant experience with a parent. For others, however the process is a bit more difficult. And for some it feels impossible. Without an effort to look at the positives as well as the negatives, you can get yourself into a negative mood and miss out on any sense of appreciation for your parents positive qualities and fail to recall the good times. I believe that to dilute some of that sense of hurt from past mistreatment, one has to take another look at the whole picture of one’s childhood through the eyes of love and compassion. Don’t just consider parent’s bad points but ask yourself about any acts of kindness you can remember. What were their strengths as well as their weaknesses? Can you recall any words of good sense they passed on. Have you acted on their useful advice? Parents’ criticism of us and attempts at directing us when we were teenagers, may have been unappreciated at the time but could have derived from concern and hopes for our future well-being. A parent giving more time and energy to someone else, with their own unique needs, doesn’t necessarily mean she or he didn’t love you as much. When we take a holiday flight, the plane flies above the clouds where all is gloom, into the bright sunshine. Likewise, if we try to raise our minds above any exaggerated negativity we can find positive ideas that illuminate the past and provide a more balanced view not just of our parents but of people we now meet in our everyday lives. Many people have come to realise that looking for the good in other people has opened them to receiving a spirit of loving kindness rather than mistrust and wise discernment rather than uncertainty. I strongly feel that being able to see people for what they really are – their good points as well as any bad ones — does actually reduce the intensity and frequency of negative moods and cynicism. The improvement in communication and quality of relationship that ensues, can improve one’s self-confidence and increase one’s sense of self-worth. But how can we hope to do this if we are carrying around bitterness and disrespect for the parents who had some unappreciated good as well as bad qualities? Inspiring and positive write up! Thank you for sharing! I’ve been a psychotherapist (that’s one word, not two) for almost 40 years and just yesterday, did one of the best pieces of my own personal therapy work…with my DENTIST! Traumatized as a child when the dentist (who was DRUNK) drilled through the roof of my mouth, I have been naturally a bit uneasy (meaning TERRIFIED) of going to the dentist ever since. I told my new guy (my dentist of 30 years retired) that I needed him to tell me exactly what he was doing every step of the way. He knew my horror story and had guessed that if I had his voice to focus on instead of the sound of the drill, I’d be more calm. Mostly correct…but yesterday, he said “Oh I get it. If I am talking, you can tell whether or not I am drunk!” BINGO. I’ve never been so relaxed at the dentist! Random therapy with my DDS!! some of my friends are the best therapists ever! The ones who listen then tell it like it is. Thank you! Jesus replied, “No one who puts a hand to the plow and looks back is fit for service in the kingdom of God.” Luke 9:62. We should not forget the past least we are doomed to repeat it (e.g., we might become our parents). 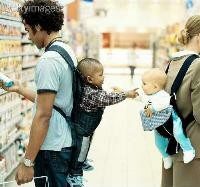 We should learn from the past how to be better people. We must not, however, overly focus on the past. Jesus tells us that if we keep looking back, we won’t be able to go forward. Don’t let your past determine your future. In Christ we are a new creation. So don’t spend too much time looking back because you are not going in that direction.